Frauke Petry has been elected leader of Germany's Eurosceptic and conservative Alternative for Germany (AfD) party on promises to make every effort to convince Berlin to strengthen ties with Russia and toughen its immigration policy. 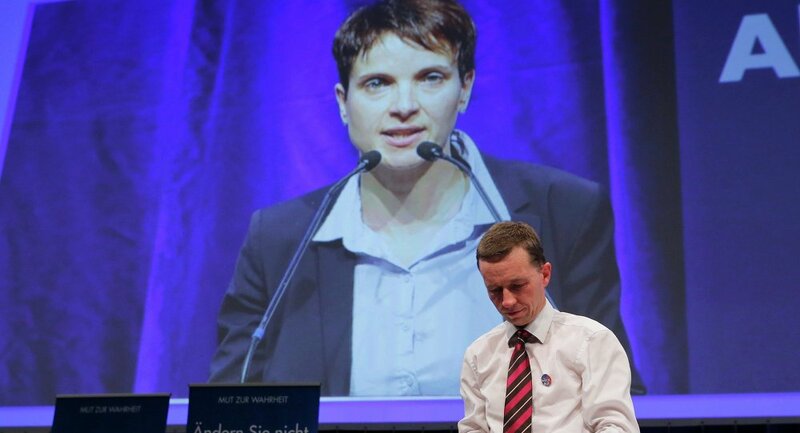 Nearly 60 percent of AfD members present at the party conference in Essen voted for Petry, a member of AfD's conservative wing, Deutsche Welle reported. She replaced the party's founder and Eurosceptic leader Bernd Lucke. The change in leadership signals a possible shift in policies, with a lesser focus on resistance to the euro and greater emphasis on immigration, as well as the perceived cultural intrusion of Islam. During the conference, Petry referred to Islam as a religion which "conveys a vision of the state that is totally foreign to that which we know in Europe." The Alternative for Germany, established in 2013, has so far enjoyed modest electoral success. The party received 4.7 percent of the vote in the latest national elections. Failing to meet the 5-percent threshold, the party was not eligible for seats in the Bundestag. The AfD fared better in the 2014 European elections, securing 7.1 percent of the German vote. As a result it sent seven members to the European Parliament as part of the European Conservatives and Reformists (ECR) group. Nevertheless, the party's support base is increasing. It has more than 20,000 members, attracting voters from Germany's leading parties, Deutsche Welle said, citing recent surveys.